Last night I spoke at the Alcohol and Licensing committee meeting which was packed with local residents. It is pleasing to say that common sense has prevailed and the hours of the proposed licensed were significantly changed. The revisions mean that alcohol has been completely withdrawn from the application and the hours have been severely restricted to Saturdays and Sundays up to 8pm only. It has also been stipulated that there will only be a maximum of five events at the park per year too. It is a positive thing that these hours amended as totally scrapping and rejecting the license would have meant that Gladstonebury would have had to be cancelled. Despite the scare mongering leaflets that went out to households from the Brent Liberal Democrats, no Brent Lib Dem Councillors turned up to make representations to the Committee. There may be further news forthcoming due to the factual inaccuracies in a leaflet from the Brent Liberal Democrats on this issue. It was also surprising that there was no Brent Liberal Democrat petition submitted at the Committee hearing given that residents have reported that Lib Dem activists had been around trying to collect signatures. It remains to be known what the Lib Dems have done with people’s personal details. 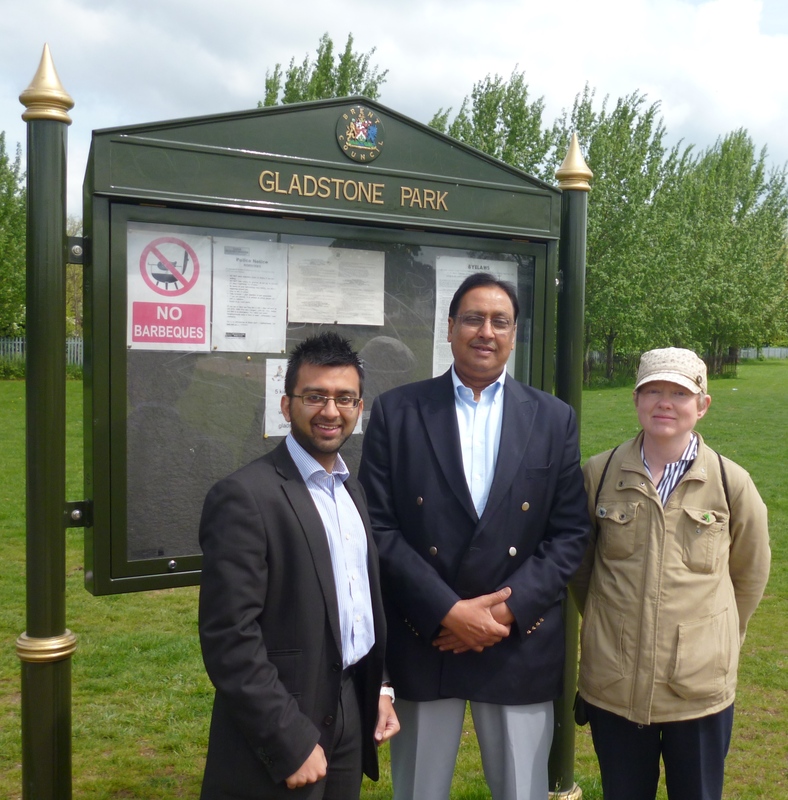 Posted on June 21, 2013 June 21, 2013 by Cllr Krupesh HiraniPosted in Dudden Hill, Sarah TeatherTagged Gladstone Park, Gladstone park license, Gladstone Park licensing, Gladstonebury, Sarah Teather. Previous Previous post: Best Graph of the year? Speaking of what political parties do with email addresses… Why did I get an email from Brent Labour about David Clues addressing me as “dear friend”. I have never given my email address to Labour although some councillors may have it. I know several others who received this email despite never having given their email addressses directly to Brent Labour. Also, I’m not your friend.